This festive season, choose the perfect gift for your family, friends and associates. 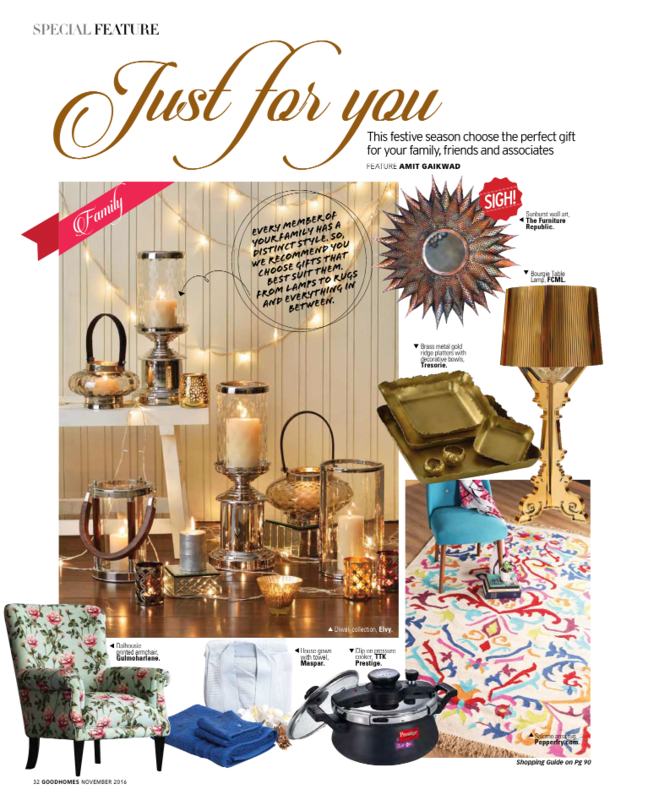 Good Homes India Magazine will help you select the gifts that best suits them. From Lamps, rugs to furniture and everything in between.